For many years, Lillian Shava, who resides in Mungate village in Domboshava, Goromonzi District lived a tough life. Her daily chores included tending her only cow, working in her small field, growing vegetables, as well as collecting firewood for heating, lighting and cooking. Shava had to prepare meals in a smoke filled kitchen using either cow dung or firewood as fuel. Now Shava is using biogas to heat water and cook her meals, thanks to Mungate Community Biogas Scheme, a project supported by the government of Zimbabwe through the Ministry of Energy and Power Development in partnership with the Netherlands Development Partners (SNV). Prosper Warikandwa from Parehwa village, ward 4 in Domboshava is also a happy woman as she no longer buys organic fertilisers, but uses the slury of remaining manure in her garden. She uses cow dung, vegetable waste and chicken waste to feed her 10m³ biodigester. Warikandwa is currently supplying horticultural produce to supermarkets such as TM, OK and Spar. She also said biogas is very popular in Domboshava as an alternative source of energy since biogas stoves are shedding a positive spell on women’s health. As for Cornellious Chataika, treasurer of Domboshava Community Development trust – the engine behind Mungate Community Biogas Scheme, the project frees women from unpleasant, taxing and harmful tasks. “This project, which started after the realisation that there was no enough fuel wood in the community, is helping the community to fight deforestation. Furthermore, women in this area have now more time to rest and bond with their children,” he said. The scheme consists of 31 members all with biodigesters. Of the 31 members, four are men while 27 are women. Of the 27 women, 13 are widows. He also said it takes a week to construct a biogas plant and the cost of buying cement, pipes, a two plate stove and paying biogas is $800. Significantly, he said the project is breaking gender barriers in Mungate community as men are working with women in scooping up cow dung into the inlet tank. 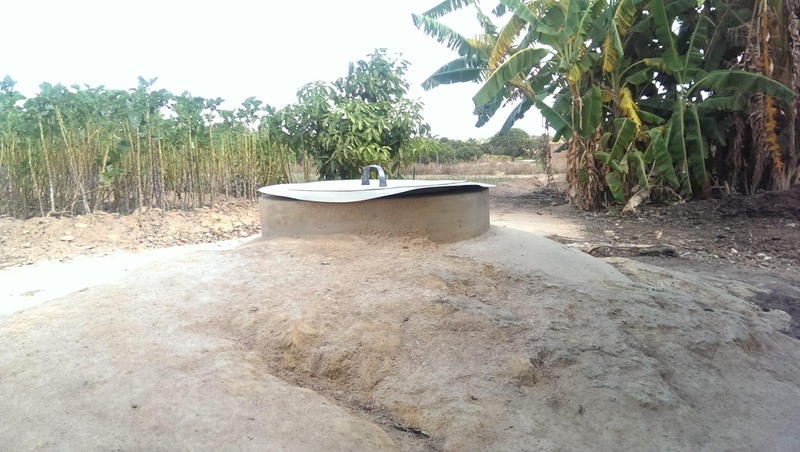 “The cow dung is then mixed with water until it changes into slury passing through a sealed underground dome-shaped tank where gas is produced,” Chataika explained. Men are also assisting in the operation plus maintenance of biogas plants and three biogas masons in the area have been trained in the building, operations and maintenance of the plants by the Netherlands Development Organisation. Chataika also equated the biodigester to the human body which requires daily feeding for survival. Conversely, he said lack of waste material to feed into the biodigester is a big challenge in his community. Chiedza Mado, senior Energy Development Officer in the Ministry of Energy and Power Development, says her ministry is working with women in Mungate and other communities in promoting biogas technology in the country. “The whole idea is to promote universal access to clean and safe energy for all people in Zimbabwe by 2030 and biogas, a clean, safe and easily controlled source of renewable energy, is helping the government to achieve this goal,” she said. Mado, who is also a renewable energy expert, adds that biogas requires little labour to harness and does not emit dangerous substances into the atmosphere since it is lighter than liquefied petroleum gas. She also said a lot of people in rural areas are showing interest, but money is the biggest hindrance. “We are working with development partners such as Southern Alliance for Indigenous Resources (SAFIRE), Environment Africa, SNV and ZERO Regional Environment Organisation in assisting rural communities,” Mado added. Gender expert, Lucy Gamuchirai Chipangura, believes the Mungate Community Biogas Scheme is a clear testimony that biogas have positive sustainable development effects like alleviating the workload for women and girls. “The Mungate project lessened women and girls from traditional chores and practices that have disadvantaged them for many years. The project also alleviated health problems caused by indoor air pollution,” said Chipangura, who is also the Programmes Assistant for the Zimbabwe Women’s Resource Centre and Network (ZWRCN). She, however, said women should also be trained as biogas masons to empower them. “Only three men were trained as biogas masons. Accordingly, women should also be trained as masons as a way of empowering them,” said Chipangura. Roger Mpande, ZERO Regional Environment Organisation acting director and board chair, says biogas technology is not only breaking gender barriers in Mungate, but also fighting climate change as it displaces greenhouse gas emissions from cow dung and kerosene. He also said for the country to effectively benefit from biogas and achieve the Sustainable Development Goal 7 of ensuring access to affordable, reliable, sustainable and modern energy for all, meaningful improvements will require higher levels of financing, in addition to bolder policy commitments and the political will to embrace new technologies on a much wider scale. “More research is also needed in the area of sustainability if Zimbabwe is to embrace biogas at entrepreneurial level like countries such as Rwanda, Kenya and Ethiopia,” Mpande summed up.